Sculptor is a Highlight & Contour Palette with 4 blendable, silky smooth highlighter and bronze powders that are universally flattering. What it is: Sculptor is a vegan Highlight & Contour Palette with 4 exclusive, blendable, silky smooth highlighter and bronze powders that are universally flattering. What it does: You are your own work of art! Design and sculpt away effortlessly with Sculptor, a cruelty-free Highlight & Contour Palette with 4 exclusive, blendable shades that are universally flattering on all skin tones. Be the true individual that you are as you highlight and define to your desired level of radiance with 2 light-catching highlighters and 2 richly pigmented bronzer powders that equally illuminate and sculpt for flattering, lit-from-within looks that range from subtle to transformative. Buttery soft and smooth, all 4 powders are formulated with skin-nourishing Energy Complex—an antioxidant-rich multivitamin for the skin. Portable compact design with modern hexagon pattern packaging for easy on-the-glow application. Apply the highlight shades to the center of the face, including the forehead, nose, top of cheekbones and cupid's bow. When applying contour and bronzer shades, use a light hand and build the color up to your desired level of radiance. Apply bronzer along the temples, under cheekbones and along jawline to reshape features for a natural look. 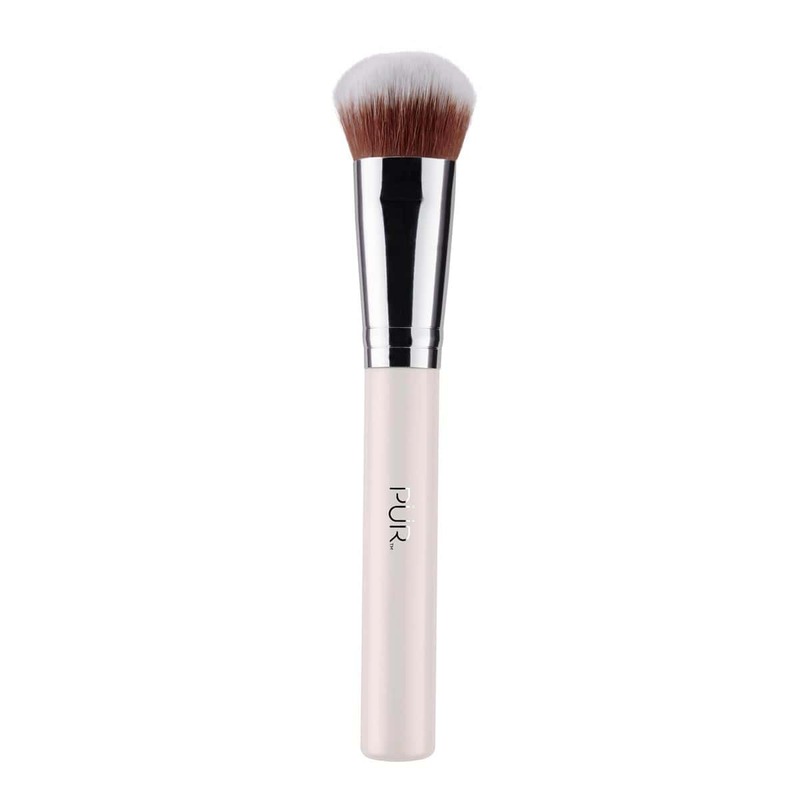 For lighter complexions, use a fluffier brush and a light hand to apply contour shades for a natural look. no pigment and chalky. I'm glad I got this for free. don't know why you would pay money for this. I should have taken the 10% deal instead. If you do get this, mix the highlighters with coconut oil to get a better pigment pay off. The bronzers were not useable for they were too dark for my fair skin and they were chalky and unblendable. 1/10, do not recommend. I love these golden highlighters they are soooo pretty! The lighter lf the two contour shades i use with a very light hand because they are very pigmented, the darkest shade is too dark for my skin tone but i figured that before i even purchased. I use it as a nice dark brown eyeshadow though. Great but super duper light handed if your less than dark tan skin tone. I really Like this contour kit, except there needs to be a light/med.kit and a med/to deep kit because the only guru I've seen thay could wear this was super tan or darker. There just wasnt a light enough bronzer. This is one of the best highlighter palettes I have used. I love it!! Worth the price!!!! i am VERY pale (like sickly because i am sick) and i have struggled a bit with finding contour/highlight shades that aren't too dark for me but are still POPPING. i got this in my boxycharm and i was...... blown... away. like, i swear to god this is the best highlighter i've ever used. I first received this pallet as a full size sample. Love the highlighting shades and the shimmer! Now I have bought two in case I can't find the pallet in a couple months and/or my daughter wanted to "borrow' it. Absolutely my go-to glow contour palette. I was originally dedicated to using multiple palettes (the balm, NYX, and Physician's Formula) as I couldn't quite get the color I wanted but THIS is IT. LOVE IT! THANK YOU! Smells great and very versatile. Can be dark but just needs a light hand and lots of blending! very settle contour and highlight is very glimmery in certain light, i love it! First when you open it.....a little small of chocolate! I love it! Looking at it, I didn't think it was dark enough from my melanin complexion. But it was! I love this more than my ABH medium to dark. I received this from my boxycharm last month and now I will be purchasing this forever! The highlighters in this palette are heavenly, but the contour shades are just too deep for my complexion. I received this palette in my Boxycharm this month and I really like it. I have light medium olive skin and I believe it will work best with medium to darker tones. The bronzers are very pigmented and should be applied with a light hand as it builds and blends easily. The highlighters are gorgeous! They definitely deliver an intense glow without looking glittery. The smell is probably the only thing I don’t really like. It’s not unpleasant, it’s just very sweet and I could do without it. This is a lovely face palette! The bronzer/contour colors are not really for the very fair but are stunning on medium and darker skin tones! I have actually taken to using some of the colors on my eyes as well as my cheeks! As long as you go in with a light hand you will find the perfect look for you! The smell is fantastic, a very faint cocoa scent that makes you feel warm!